Sgt. Steve Henkle, your passing does not go without great sorrow and emptiness. Thank you for your service , dedication, and compassion to your community. May God shine his light upon you and your family forever. God be with you my brother. I am sad to learn of the passing of a brother and hero in Sergeant Steve Hinkle. I know our Heavenly Father has welcomed him home into his loving arms where he will now patrol the Golden Streets of Heaven. May the Lord deliver blessings, comfort and peace to his family, friends and all members of the Sullivan County Sheriff's Office. RIP buddy. Thanks for all the good memories! 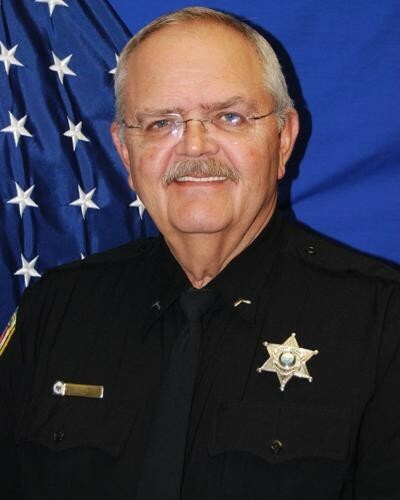 Lord God, our hearts and prayers go out to the Sullivan County, Tennessee Sheriff’s Office and for the family, friends, and colleagues of Sergeant Steve Hinkle, of the Sullivan County Sheriff’s Office, who was shot in the Line-of-Duty on Saturday, February 23, 2019 and died of his wounds on Tuesday, February 26, 2019. Father God, have mercy on us and their souls. Rest easy my Brother-in-Blue. We will take it from here! Now, join the Lord and rejoice in Paradise! God speed! Amen. Thank you so very much for your sacrifice. May you Rest In Peace, hero. You will always be remembered. We send our most sincere condolences to your family. God bless them and keep them in His Grace. Miss You My Brother and Friend. We've Got the Watch So You Can Rest Easy. We'll Continue the Good Fight and Will Never Forget You and All You Stood For. Love You My Brother and Look Forward to Our Reunion Someday In a Much Better Place Where You Are Now. Thoughts and prayers go out to your family and friends. Thank you for your service. My heart almost stopped when I heard the news earlier today.... My condolences as a former SCSO deputy to the family of SGT Hinkle and to the whole SCSO family, I am so sorry about this tragic event and the tragic ending.... God Bless the SCSO, SGT Hinkle's family, and this community who lost such a very wonderful man and deputy. Taken too soon, in such a tragic event.... Life isn't fair sometimes. Why such a wonderful man taken so soon. I believe it is part of God's plan in some way.... It simply breaks my heart. He will be missed dearly. I am so thankful to have met him. He was such a wonderful deputy and an even better man.... prayers to the family and friends of Deputy Hinkle, a brother in blue. He will forever be in our hearts and minds. I mourn as I sit here and read this memorial, because I recognized Steve immediately. I met Steve several years ago (circa 2011) when I attended advanced SRO training in Pigeon Forge, TN. Steve was 1 of 2 Sullivan County deputies in attendance at the same class. I was the only out of state officer in attendance, so Steve and his partner took me under their wings and showed me some true southern hospitality for the entire week. What I remember most is his good humor and his patience for my ignorance of eastern Tennessee slang. To Steve's family, and his brothers and sisters at the Sullivan County Sheriff's Office, I send you my most heartfelt condolences. I know that we are all losing too many of our brothers in this fallen world. Know that Steve will always have a place in my heart and I won't ever forget him. I send my love to you all, and pray that the love of God will be with you all. Rest easy Brother. May God comfort your family, friends, and colleagues. Thank you Sgt. Hinkle for your service, but most of all thank you for being a great friend and respected officer. Your service record will stand as an example for young officers starting their careers. God speed Sgt. We will take it from here. The thoughts, hearts and prayers of everyone here at CCPD go out to the families, both blood and blue, of Sergeant Hinkle. May the Good Lord give you strength, comfort and peace. God Bless you Sergeant Steve Hinkle ❤️, Rest In Peace. We are so thankful to you for your service, your devotion and your sacrifice. We are so saddened by this terrible news!! Our thoughts and Prayers go out to your family, and all of your sisters and brothers in Blue that protect us. God bless you all! !